Keno in Western Australia is quite limited – you will only find it at the land-based casino in the capital city, known as Crown Perth Casino. At Crown Perth there are two types of keno to play – standard electronic keno where results are displayed on boards and the coin-operated keno offered in the place of pull down lever pokies, which are illegal in WA. We take a look at WA keno and how to play online if you can’t get to the capital city to play – or even if you can. As we mentioned above, the only place you can play keno in Western Australia is at the Crown Perth (formerly known as the Burswood Casino). It is the only land-based casino in WA and since the state is quite large you might not have direct access to it. 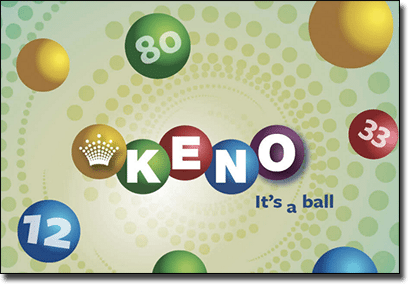 Western Australia is actually the only state in Australia which doesn’t allow clubs and pubs to offer keno. While Clubs WA entered a public submission to reverse this in 2010, it unfortunately appears they were unsuccessful. Therefore, you will only find keno at Crown Perth – or you can go online and play at secure online casinos, which we will detail below. If you do happen to visit Crown Perth, or you live locally and want to play keno, it is quite a simple game to follow. For coin-operated keno, simply locate a machine among the 2500 coin-operated machines and play as you would standard keno via the screens – you will get your results much faster and you can play at your own pace. For the standard keno available, the game is a bit smaller than what you’d find in pubs and clubs around Australia (such as a club in NSW) as 20 numbers out of 80 are drawn, instead of the usual 40. The games are drawn every few minutes. Players can pick their favourite numbers, but only up to 10, with tickets starting from as little as $1. The more numbers you match the more money you can win. You can use the self-serve terminals available around the casino to fill out your forms and place your own bets – you can also check your results here too. These are available 24/7 so no matter the time you can play keno at Crown Perth. You can also visit the Keno Lounge, which is located next to the Carbon Sports Bar, and an attendant will help you fill your form out, put it through the system, and check your results for you if you would prefer a more personalised keno experience. There are also jackpot keno games available at Crown Perth, and you automatically qualify if you are playing at least six numbers on any game. Each keno jackpot grows with a percentage of each wager on six, seven, eight, nine and 10 spot games. What’s more, the 10 spot jackpots start at $250,000 and can grow to seven digits. All you have to do to win is match every single number in association to the number of spots picked. For example, if you’ve chosen seven spots/numbers you need to match seven numbers. Since Western Australia is such a large state, being close to Crown Perth isn’t guaranteed for all residents. Since we can’t go to our local pub or club to play in WA, we need to find a safe alternative. Going online is the best possible solution and it even carries benefits including a better house edge than land-based venues, you can play at your own pace, and there are unique variants available in case you want to mix gameplay up a bit. Both the coin-operated keno and the standard keno in Crown Perth relies on random number generator software, so when you go online there’s no difference. The house edge is lower online – about 8-10% which is high considering other titles (online blackjack can get as low as 0.13%) but a lot lower than land-based keno which is set at 15-20%.